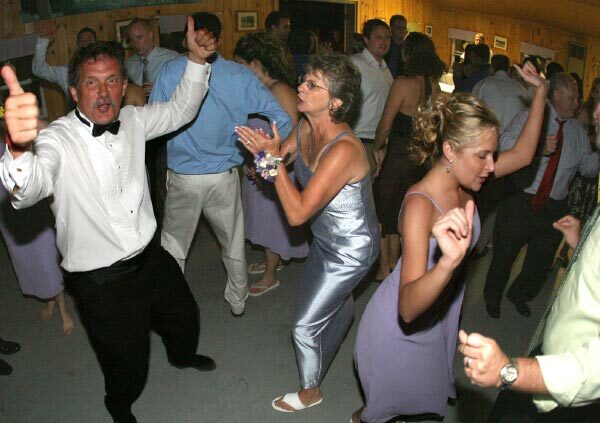 Camp Rentals: Weddings, Family Reunions, and Parties at Camp Lohikan in Pennysylvania's Pocono Mountains. Celebrate in a unique natural setting! Picture your wedding on a mountain top overlooking a private lake with miles of Pocono Mountain vistas in the distance. Or picture your wedding on the shoreline of a scenic private lake surrounded by gorgeous Pocono Mountain landscape. The natural beauty surrounding Camp Lohikan is a perfect backdrop for every wedding! But we also have numerous indoor facilities, especially a banquet hall with vaulted ceilings that is perfect for indoor celebrations! Whatever you choose, our goal is to make your celebration the BEST! Our professional staff have the experience and the expertise to meet whatever special needs or requests you might have to make your camp wedding great. Our professional cooking staff have the talent and experience to customize our standard menu to meet your desires. Click here for our standard menus. Camp Lohikan hosts both single day weddings/receptions and multi-day weekend weddings. Weddings are completely customizable. Depending upon the length of stay, a wide variety of activities can be added to the program. Camp Lohikan’s wedding facilities include a 10,000 square foot vaulted banquet room which is perfect for dining and dancing. Overnight accommodations include 60+ private rooms and 50+ dormitory style cabins that can accommodate a family of 5 up to 20 guests. Maximum occupancy is 900 guests. Exclusive use of our facility is available. 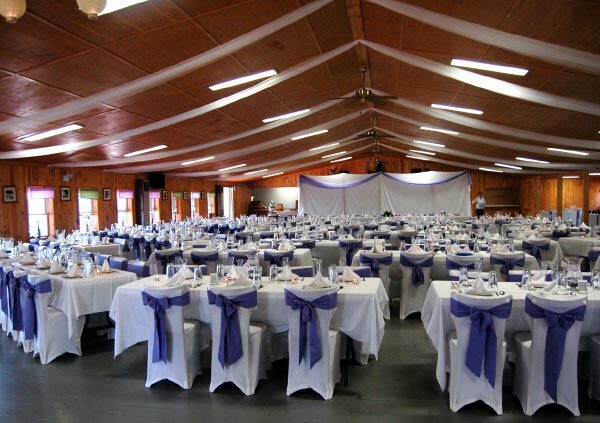 This will be Camp Lohikan’s 62nd year in the banquet and wedding business and we know how important it is to have a professional staff available to walk you through every detail to ensure the special occasion is perfect. Camp Lohikan is available for weddings, parties, family reunions, and other celebrations from April 15th through June 15th and again from August 27th until October 15th. For more information, call us at 908-470-9317 until June 15th. After June 15th we can be reached at 570-798-2707. Ask for me, Joe Clinton, Camp Lohikan's Weddings/Reunions Specialist.